Want to work at ORSL?! Interested in becoming an Interfaith Student Leader?! Applications are open for any student interested in being part of our interfaith team. Click here to apply! 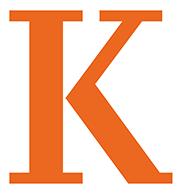 The Kalamazoo College Office of Religious and Spiritual Life (ORSL) is a multi-faith religious and spiritual gathering place. We understand that the spiritual journey is both personal and takes place in community. Our motto is "Deepen Your Roots" and everyone is invited to dig more deeply into what it means to live a life of integrity and importance. Students are also invited to engage with one another, crossing traditional boundaries, in respectful and meaningful ways that encourage critical thinking and an integration of theory and experiences through reflection. We have programs for students continuing in their religious tradition as well as for students exploring religion & spirituality for the first time. Call the ORSL Office at 269-337-7362.